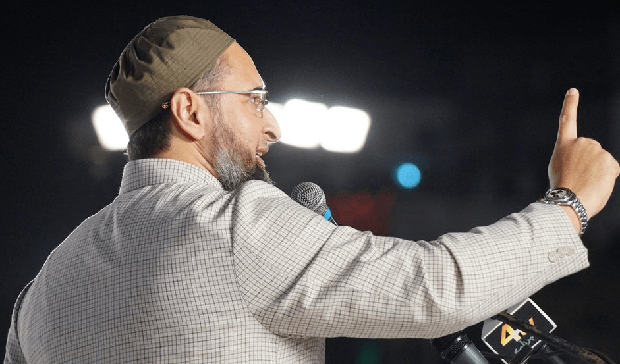 Hyderabad: AIMIM chief Asaduddin Owaisi warned the newly elected corporators of his party at Darussalam that party would keep a watch on the performance of every corporator and if anyone will harass poor people in the course of their discharge of duties or otherwise, they would not get the party ticket for the second time. “Don’t use town planning officers to mint money. Let poor men build their houses, don’t obstruct them thought the town planning officer.” He asked the corporators to visit Dalit areas regularly and help make Hyderabad a beautiful city. The second-time winners or third-time winners should not feel themselves to be “Teesmar Khans.” The party would hold monthly reviews on the performance of corporators. The AIMIM has managed to retain its stronghold by winning 44 of the 150 wards of the Greater Hyderabad Municipal Corporation election.